Welcome to my 4th post of the day today, this one for SheepSki Designs. Be sure to scroll down to see the other DT projects I did for today. I did a monochromatic of reds (with neutral grays) using my ProMarkers. I cut the image with a simple, square die from QuicKutz, then inked the edges. 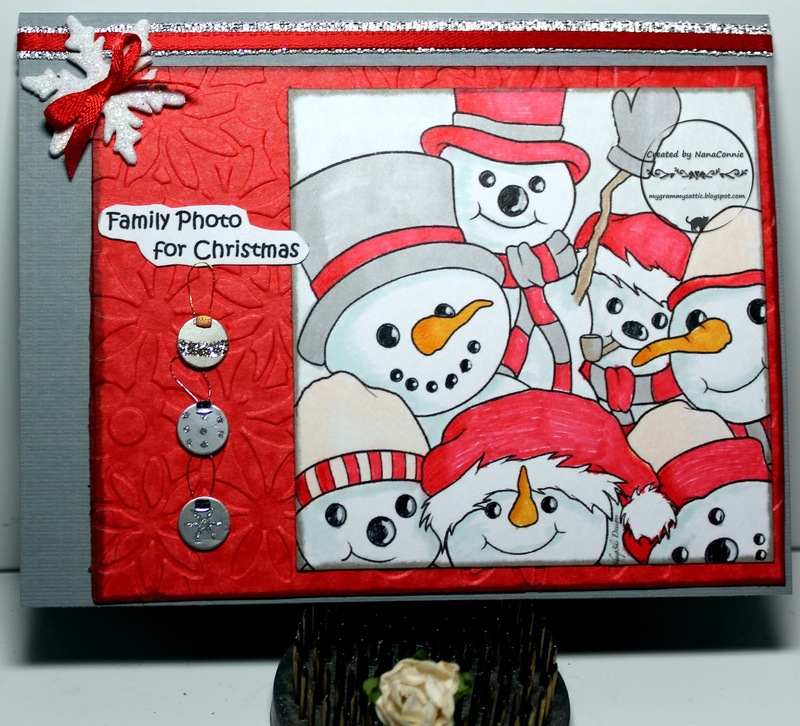 The red CS is dry embossed with a poinsettia folder from Darice and I layered the image onto it, then added it to a card base made from gray CS. Each of the tiny ornament embellies has glitter added for sparkle and is cut from shiny silver paper. The white star is a die cut (Cheery Lynn) and I covered it in glitter. The silver ribbon is sparkly and the red satin ribbon, including the hand tied bow, has a polished shine. What a cute image and fun creation! Well done Connie! Thanks so much for playing in our ‘Christmas Carols’ challenge at Dies R Us! Please come back again soon! Love this Snowmen Selfie image! It makes me smile and reminds me of my 22 year old who is always taking in selfies! Love all the red! Love the sentiment "Family Photo". Very cute "selfie", indeed. Really cute card. So glad you joined us at Die Cut Divas. Love this all those snowmen love it Thank you for sharing with us over here today at the Classic Open Design Team Challenge and best of luck with your entry. Such a fun card ! Thank you for playing along with our Christmas challenge ! 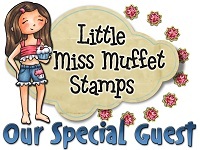 Fabulous stamp and I just love the card you created with it. The little details really add to the all over effect. wow! Wonderful image. I love the colour combo you choose. You create a beautiful card! What a lovely group of snowmen! Adorable. Thank you for sharing with us over here at Classic Design Team Open Challenge and best of luck with your entry. Thank you for entering your wonderful creation at The Crafter's Cafe this fortnight for our "Embossing" challenge.